Chabad are everywhere except where they aren’t. They work hard at it, and some are very good at it. They are entitled to the fruits of many years of work. The Rabbinic Council, led by (Chabad) Rabbi Mordechai Gutnick knew about the issue in Melbourne before it occurred, but have chosen silence. This is misguided as it won’t go away. If you are a Chabad Rabbi, then you don’t really care. You only care about the Jew, not the labels. You perform the tasks you believe will cause the Lubavitcher Rebbe’s return from on high to lead the Jews out of Golus. In my view that is why the Rabbinic Council is toothless. Shules are there because they include Jews who need to have their Klipos removed. I don’t include mavericks like M.G. Rabi in this; he has no community, only kashrus businesses. 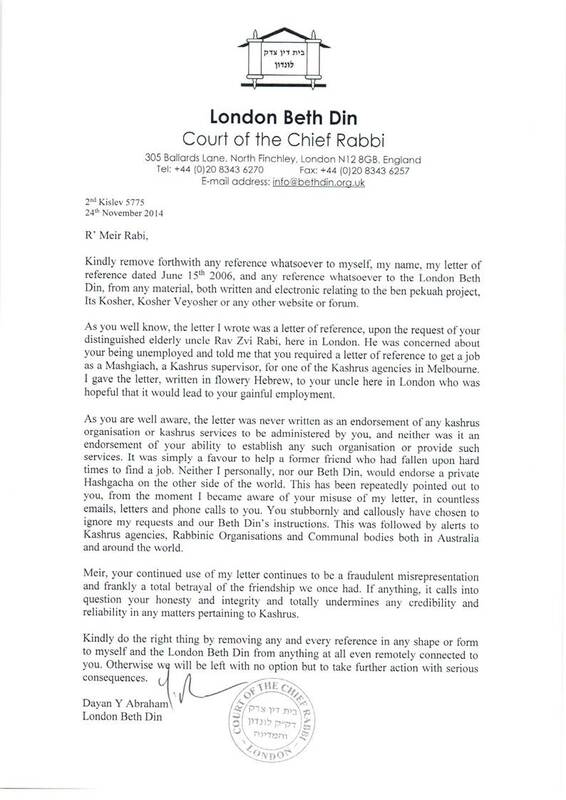 Case 1: Rabbi Shamir Caplan (who is a lovely soft person) of Beit Aharon invites a “Maharat” whose title then morphs in other later advertising to “Rabbi”. Case 2: Rabbi Ralph Genende of Caulfield Shule (who seems to have a penchant for quoting non Torah literature in his speeches) has decided to host the cutely misnamed Rabbi Ysoscher Katz from YCT. YCT is the left-wing break away from YU which has been considered beyond the pale by the Rabbinic Council of America. Who in Melbourne cares? If it isn’t obvious, Shules in Melbourne will be led by young “I’m your friend style, Chabad Rabbis OR left wingers like Rabbis Caplan and Genende. Rabbi Ralph Genende, second from the left at the well. Greens’ leader Di Natale is third from the right. In truth, Jews actually need knowledgeable centrist Rabbis who live in this world, and don’t have an agenda and who give Shiurim on a range of topics. Rabbis need to become educators again, not feel good functionaries. I can see Melbourne in 10 years deprecating into an architectural abyss of a former era. I’d rather Moshiach came NOW! I haven’t mentioned Mizrachi because they are in their own category. They consider themselves as the only real religious zionist shule. I think it is true that more B’nei Akiva graduates go on Aliya, than any other congregation, but I’ve never been comfortable with them “owning” Yom Haatzmaut and Yom Yerushalayim services. I feel these should be held in a different Shule each year. That is a more positive thing to do. Who is there to talk to? The moribund Council of Orthodox Synagogues of Victoria (COSV)-The “lay body”? Don’t waste your time. There are lots of old furniture still running that group and the meetings are thoroughly uninspiring. If there wasn’t an Eruv, they would be dead, ironically. The flowering of Torah study and teaching by God-fearing Orthodox women in recent decades stands as a significant achievement. The Rabbinical Council of America is gratified that our members have played a prominent role in facilitating these accomplishments. We members of the Rabbinical Council of America see as our sacred and joyful duty the practice and transmission of Judaism in all of its extraordinary, multifaceted depth and richness – halakhah (Jewish law), hashkafah (Jewish thought), tradition and historical memory. In light of the opportunity created by advanced women’s learning, the Rabbinical Council of America encourages a diversity of halakhically and communally appropriate professional opportunities for learned, committed women, in the service of our collective mission to preserve and transmit our heritage. Due to our aforesaid commitment to sacred continuity, however, we cannot accept either the ordination of women or the recognition of women as members of the Orthodox rabbinate, regardless of the title. Young Orthodox women are now being reared, educated, and inspired by mothers, teachers and mentors who are themselves beneficiaries of advanced women’s Torah education. As members of the new generation rise to positions of influence and stature, we pray that they will contribute to an ever-broadening and ever-deepening wellspring of talmud Torah (Torah study), yir’at Shamayim (fear of Heaven), and dikduk b’mitzvot (scrupulous observance of commandments). In light of the recent announcement that Yeshivat Maharat will celebrate the “ordination as clergy” of its first three graduates, and in response to the institution’s claim that it “is changing the communal landscape by actualizing the potential of Orthodox women as rabbinic leaders,” the Rabbinical Council of America reasserts its position as articulated in its resolution of April 27, 2010… The RCA views this event as a violation of our mesorah (tradition) and regrets that the leadership of the school has chosen a path that contradicts the norms of our community. This resolution does not concern or address non-rabbinic positions such as Yoatzot Halacha, community scholars, Yeshiva University’s GPATS, and non-rabbinic school teachers. So long as no rabbinic or ordained title such as “Maharat” is used in these positions, and so long as there is no implication of ordination or a rabbinic status, this resolution is inapplicable. Next Next post: Tree Huggers: You voting Green in Melbourne Ports?